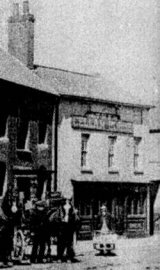 The WATERMANS ARMS to c1879. Address noted as 66½ North Quay in 1890. House closed 11.12.1939 and licence surrendered in consideration of the BURE HOTEL. The house was sold to the military in 1939 for use as billets. It was damaged by bombing and did not survive the war.